Arsenal manager Unai Emery is reportedly lining up a transfer swoop for Paris Saint-Germain starlet Christopher Nkunku this summer to replace Denis Suarez. The Gunners were linked with Nkunku back in January by football.london and others, but missed out on the deal at the time, bringing in Suarez on loan from Barcelona instead. However, the Spain international has barely made any impact in his brief time at the Emirates Stadium, having been limited to substitute appearances only. 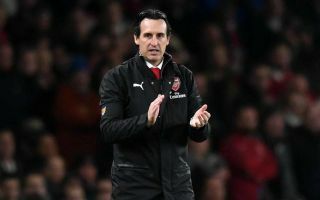 And it seems he’s failed to make an impression on Emery, with the Sun claiming the manager is unconvinced the player has what it takes to make it in the Premier League and is unlikely to keep him beyond his loan spell. This probably won’t come as too much of a surprise to Arsenal fans, but it is a worry that they tracked Suarez for seemingly so long this winter without realising quite how unsuited he might be to English football. Gooners will hope Nkunku can be an upgrade if he comes in, but it certainly seems like Arsenal still urgently need to sort their recruitment strategy out. Emery at least knows the young Frenchman well from his time working at PSG, though that’s also true of Suarez, who played under him at Sevilla.